Let's take a look at the great new features! A new way to record Timed Activities has been added. Your Timed Activity Masters appear on both sides of the selected time range. Slide these masters and select the one you want to record. 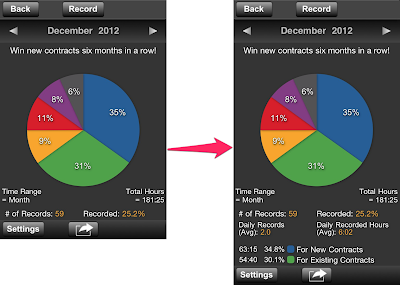 Now you can record just by tapping an Activity on the timeline screen. If you tap the selected time range without sliding the masters, you can record the same way as before. Since we were so excited about this new feature, we have even moved the release schedule ahead. We hope you like it! "Backup & Restore" is one of the long-awaited functions of MyStats users. Thank you for waiting! Now you can backup and restore with Dropbox. Do you know Dropbox? Dropbox offers a cloud storage and synchronization of your files between your different devices. 2GB storage is available for free. Create a Dropbox account if you don't have one. 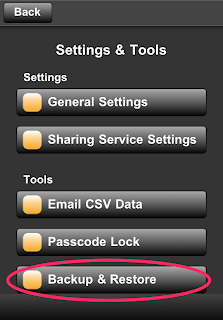 1) Tap on the "Backup & Restore" button in the Setting & Tool menu. 2) Tap on the "Backup" button. 3) Sign in to Dropbox. 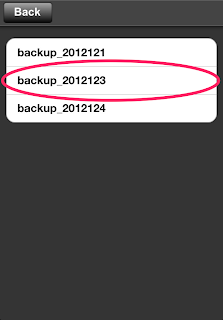 4) After tapping "Yes", a backup file will be created. 5) Tap "YES" after checking the size of the backup file. 6) After a moment, the backup file will be uploaded to Dropbox. Next, let's cover how to restore your data. 1) Tap on the "Restore" button. 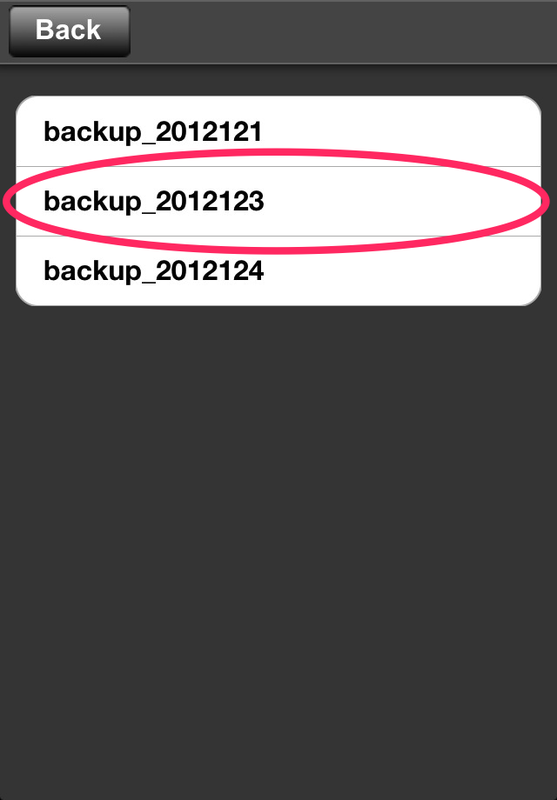 2) Select a backup you want to restore. 3) After tapping "Yes", your data will be restored. We recommend you to backup about every month or so. 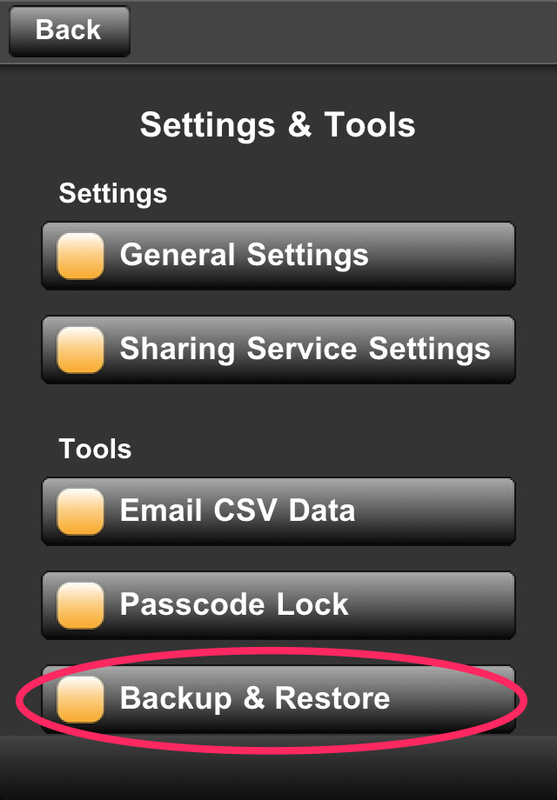 By the way, as it's stated underneath the Restore button, when you restore, all of the information in MyStats will be deleted and replaced with the information from your backup. So we recommend you to backup before restoring. MyStats is now compatible with iPhone 5 (4 inch display). You can see more without scrolling. That's it for now. Have fun with MyStats V1.31. It's coming very soon! This version works with iOS4.3 or later. If you use iOS4.2 or earlier, please update your iOS.